Wow! I was just talking about this being an inevitability the other day. Didn’t realise it had already been done. Fantastic work. Looking forward to watching it. Hi, I noticed that there is bad stutter once the film gets to the material from the 3rd movie. The video quality also seems a bit lower. Is there a later download that addresses this? Creatively it is great! My one gripe is the cutting of the eagles from the end of Act 1 as this was such a dramatic rescue from the novel. There will be the extended version of the Battle of the Five Armies. 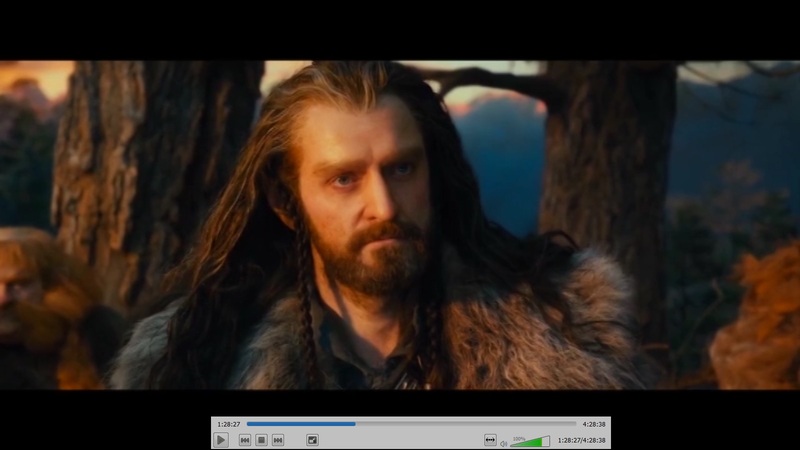 In this extended version probably we will be able to see Thorin`s Funeral. Is there any chance to make a second version of your edit to include such scenes that might be included in this extended version? 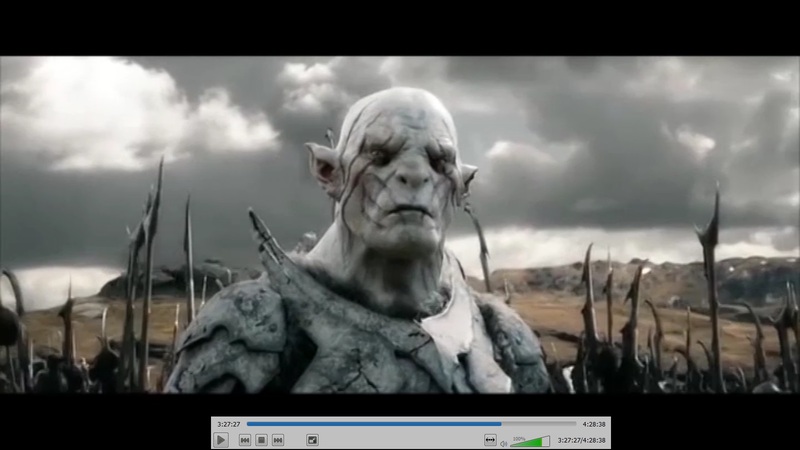 Would you consider editing out more scenes with Azog? To be true to the book, He died in the battle of Azanulbizar. Another note, edit out the trolls and “ware-worms” in the battle of five armies because there wasn’t actually trolls there and if there were, they would turn to stone. Also PLEASE FOR THE LOVE OF GOD REMOVE THAT STAIN OF A SEQUENCE WITH BOMBUR WHEN HE BOUNCES OUT OF THE BARREL AND DOES A SPINNING AXE ATTACK!? its honestly an atrocity. Other than that, you should be good. I’m trying to download the Portuguese subtitles, but the link is not valid. Is there somewhere else I can get it? Greetings from Spain. 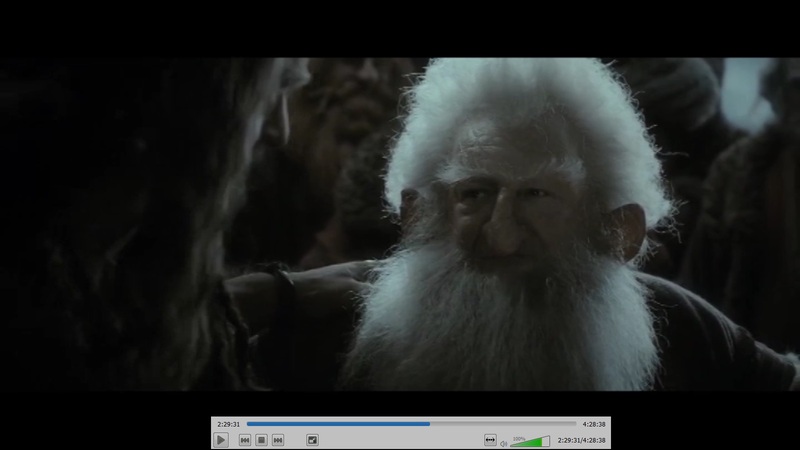 Great job but I hope you can get a better picture quality in a new review with the dwarves singing in Bilbo’s kitchen. I am looking forward to seeing your cut of “Gandalf’s story”, sort of an a Hobbit Appendix. While it hasn’t been released on Blu-ray yet, people have viewed the extended cut of Battle of the Five Armies and most seem to agree the added scenes improve the film a lot. 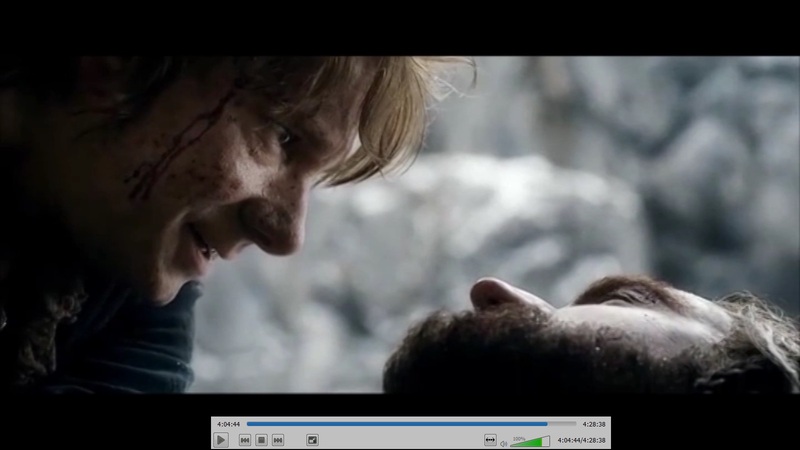 I was wondering if you might consider making a new edit of the main storyline so that you can incorporate extra character moments (particularly for Bilbo) which are only included on the new Extended Cut. I really hope you incorporate the Extended Edition of Five Armies, as it includes one of the big scenes that the theatrical cut omitted (Thorin’s funeral). Now that the extended version of Battle of the Five Armies has been released (digitally, anyway), do you plan to update your recut? There are some wonderful added scenes that I think would bring value to your version (like the short funeral scene for our fallen dwarves heroes). Thanks for an awesome edit! Nice work, I love to see it with 5.1 audio and better picture quality. Nobody seeding the torrent, I will seed if I ever get it downloading. Any chance of adding the funeral of Thorin, Kili and Fili? I know it would probably be a lot of work. Im so angry that we had to endure so much of Peter Jackson’s monstrous creation of Alfried in the theatrical version and the funeral scene was cut out. I am convinced that PJ left it out of the theatrical version just so he would have something besides more gratuitous fight scenes and violence. On reflection, especially after looking at the expanded battle scenes, a couple of things occurred to me: a) Even with the slagging-off of Jackson’s efforts, your ‘edited’ version still clocks in at 4 hours. Far too long for a single movie. (Even having an intermission wouldn’t help, because cinemas would be forced to have less viewings.) I understand that this was a fan’s exercise, motivated by love for the novel, but the effort’s success has its own limitations. Which leads to b) Here’s another exercise for you: Rather than being handcuffed by Jackson’s films as source material, why not go a step further and ante-up and come up with an outline of what YOU feel the film should have contained? Don’t get me wrong, I appreciate fully what you’ve accomplished, but it seems to me that if you and your readers want to REALLY put things to right, you should put a little more money where your mouths are. Someone needs to Knight you for this. Just out of curiosity, did you manage to edit Alfrid out of these movies? I admit that I laughed at some of his moments in BotFA the first time that I saw it, but my God, he was a pointless character. I don’t know if anyone else has suggested this, but can you please put it the funeral/coronation scene from the extended edition? It fits pretty well with the book and isn’t very long! 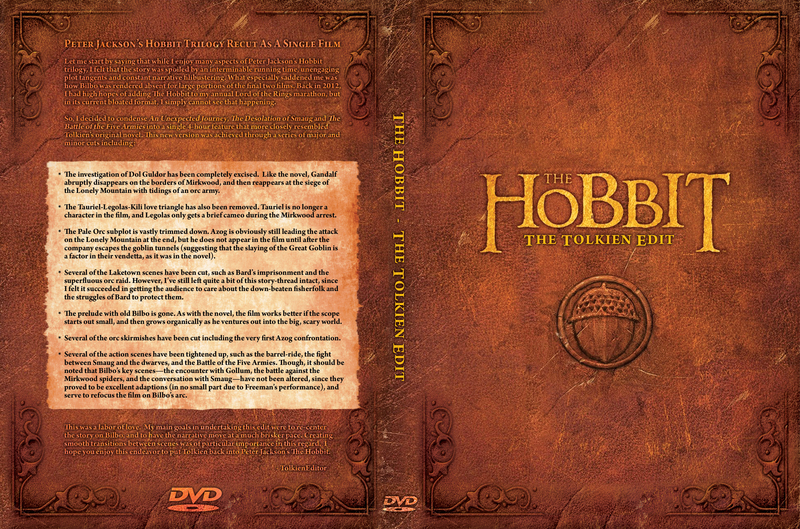 Is there going to be a new revised version after the release of the Battle of Five Armies Extended Edition? 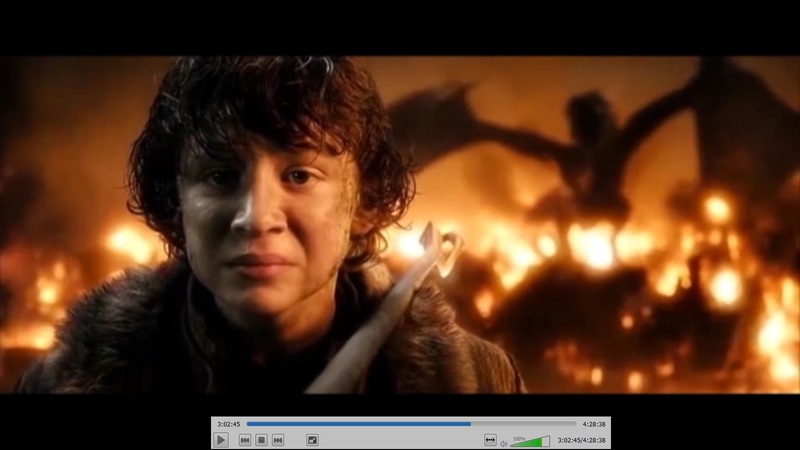 1) I want to show this to my kids prior to showing them my LotR Blu-rays, and I would like to get a 1080p @ 23.976 FPS version for them to watch on our big TV in all its cinematic glory. I am a bit perplexed by the odd 5:4 aspect ratio @ 25 FPS version I found online. 2) I have not reviewed the differences between the theatrical and extended 5 Armies (which came out only recently), and I am curious if there is anything in the extended 5 Armies that you think might be good to include in the Tolkien Edit, now that all the extended material is available? 3) What about the idea of trying to split the Tolkien Edit into two 2-hour movies? I thought the end of An Unexpected Journey (fighting Azog and escaping, looking at Lonely Mountain in the distance, and Smaug waking up) was a good place to break the story into two parts. 4) I really like the idea of recutting the Dol Guldor subplot as as separate story. Jackson should have just made two Hobbit movies and then released a third movie centered on Dol Guldor. I really like your work. I’ve made a french version of the tolkien edit in HD. Is not exactly the same version but the duration is almost the same. Join me if your are interessted by the movie. Great Cut! Although I liked the Dol Guldur subplot, because it’s (in a different time frame) from Tolkien’s writings (it’s told in the LotR appendices and Fellowship of the Ring), you’re right that it distracts from the main plot and Bilbo’s and the Dwarves story arc, and it’s not in the book “The Hobbit”. While watching An Unexpected Journey for the first time I really enjoyed it, loved how Peter Jackson and his team adapted the perfect scenes that Tolkien wrote (Bag End scenes, the Troll scene, Rivendell, the Riddles in the Dark scene) and also liked the additions that were made (Radagast and Azog). I was really looking forward to the next two movies. But when I watched Desolation of Smaug and than the horrible Battle of the Five Armies I realized Jackson had done a big mistake by making the Hobbit a trilogy. When I first heard that Legolas was going to be in the Hobbit films I liked the idea because I thought it was going to be a cameo in Mirkwood. But I hated the decision to give him this big role. I especially hated the Tauriel/Kili love story. The only scenes I ended up liking very much in Hobbit 2 and 3 were the scenes that came (more or less) directly from Tolkien. The scenes with Beorn, the wandering through Mirkwood and the Spider scene, the conversation with Smaug, Smaug’s attack on Lake Town, many of the scenes before the Battle (Bilbo giving the Arkenstone to Thranduil and Bard, the negotiations with Thorin), the funeral and the Return Journey. So it’s really nice to see that somebody did the work to cut all this beautiful scenes together to make one long movie that gives justice to Tolkien’s book. But i have to ask one thing: could you please add the beautiful funeral scene from the new Extended Edition of BotFA? Just watched it and overall it’s a very well done fan edit and the length of the movie is about what I think we were all hoping for with the Hobbit. One long film, or two shorter ones, NOT a trilogy. The dwarves cleaning up Bilbo’s house with the song. I just read the book with my 6 year old son and he noticed this was missing as well. The fight with the orcs where they climb into the trees and the Eagles save them. Instead you cut directly to them getting into Beorn’s house. I know you were trying to cut down on Azog but I feel like you could’ve left some of this scene intact. Also the golden smaug definitely took you out of the movie and made you aware that this was a fan edit. Cutting a few more seconds out to just see Smaug flying towards Laketown would fix this. – New openings and the end of the first film. The first film begins as the original, with Bilbo writing his story to Frodo (without the flashback of Erebor and Smaug), because I thought it made more sense with the end of the story (the old Bilbo on his birthday 111). The ending is when the company finally enters Erebor and is revealed to Bilbo the reason for their quest: recover the Arkenstone. The opening of the second film is the scene of the encounter between Gandalf and Thorin in Bree, it results to me a perfect way to link the end of the first one, going deep with the need of the Arkenstone, and the story between Thorin and Azog. – The sequence between the escape of the Goblins and the arrival at Beorn´s house has been changed to avoid a cut too sharp. Azog makes its appearance tracking them and then chasing them through the mountains while Bilbo spy behind a rock, and then saw Beorn as a big bear. – I included the scene in Dol Guldur in which Azog receives orders from Sauron (as a shadow) and then he orders Bolg to pursue the dwarves. In my opinion it is necessary for understanding the presence of Bolg when the dwarves escape of the realm of Thranduil, and also goes deep in the subplot of the return of Sauron. – The scene where Kili get wounded with an arrow shot. – The entire sequence in which the dwarves fight with Smaug in Erebor, because it allows to understand why Smaug went out covered with gold. – The deaths of Fili and Kili are included. – More of the confrontation between Bard and Smaug in Esgaroth. – Bilbo escapes of Erebor with the Arkenstone while Bofur stands guard. 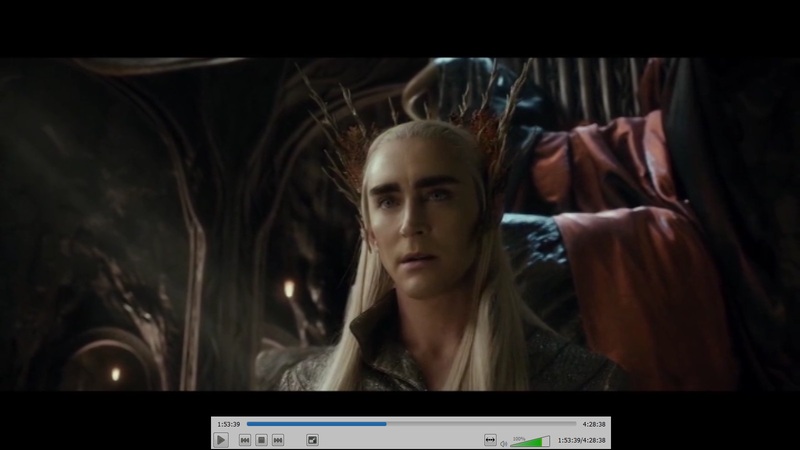 – Negotiations between Bard, Thranduil and Thorin. – The appearance of Dain and the start of the battle. – Counterattack of the dwarfs with Thorin ahead. – Sequence of the chariot. – More of Beorn in battle. – Funeral of Thorin, Fili and Kili. Dain coronation. Hi PSG, could you reseed your cut? I would love to watch it. Amazing work. Just great. However, when Thorin kills Azog, you can see an arrow coming from nowhere. Kinds of makes no sense. I think first half is perfect, but completely erasing Tauriel from the movie leaves a few holes in the second half. I have not yet watched this as I have literally only just discovered its existence about 5 minutes ago. This makes me happy. I have been talking about doing this since the first Hobbit movie came out and I was sitting in the cinema thinking ‘well I’ll cut this for a start…’ but sadly I have neither the skills nor the software to make my own edit. Very much looking forward to watching this when it has downloaded. Even if it is not the exact version I would have made, I totally applaud this. Am now just annoyed it’s taken me this long to find this! This is great! where can I find it? 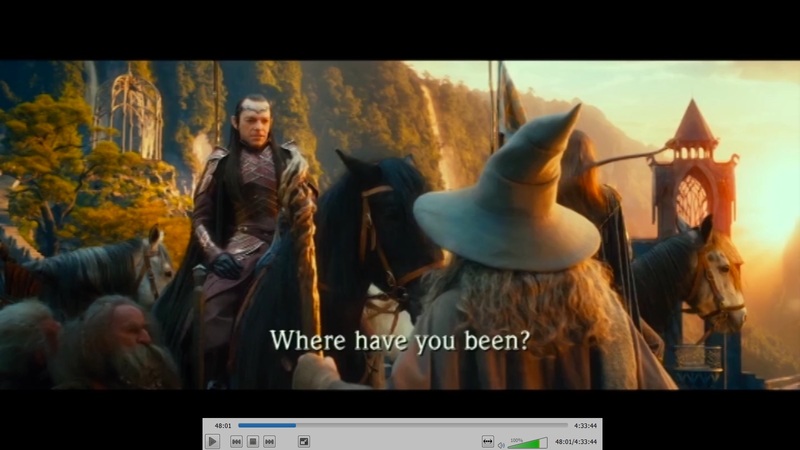 Sadly, everything edited out in this version is everything that was disappointing about the original Hobbit movies. I was extremely disappointed to fast forward through most of PJ’s final Hobbit movie. There was, however, enough of Tolkien’s world to make it watchable. This doesn’t reflect on PJ, but the Hollywood money machine. The Lord of the Rings was perfection. If ever there is an opportunity for a remake exactly how he wished the film to be, I can’t wait to see that. It is a tricky book to begin with, but the Hobbit script was completely lacking in Tolkien’s subtlety. To add a female character and romance that that didn’t exist in the book was bizarre. Having first read the books when I was ten and many times after, I never once thought, oh wouldn’t a romance be smashing, oh pity Tolkien didn’t have more battle, pity Tolkien didn’t … Hm.Tolkien fans, love TOLKIEN’s world. Cheerio. Hello!! congratulations for this great work!! Much more needed to be cut. You talk about the acrobatics of Legolas and Tauriel, but leave in the equally ridiculous acrobatics – as seen in the trailer – of the dwarves and Bilbo (but especially the dwarves) when tangling with Smaug. Also, as others have pointed out – that scene where the dwarves sing as they wash dishes was in the book and really shouldn’t have been cut. Try to get this whole things down to 2.5 hours. I would have preferred a shorter cut – maybe half that. Cut out some more of the gymnastics routines and things like fireballs chasing people down hallways. I found your edit in December, along with a few other people’s. They inspired me to do my own, and since I took some cues from you (and because you are the only people who really understand the six months I’ve been obsessing over it), I’d like to share it with you. Please send me a mailing address if you’re interested, no big deal if you aren’t. The cartoon version of the Hobbit has the last surviving voice actor was of August 12, 2016: Orson Bean.